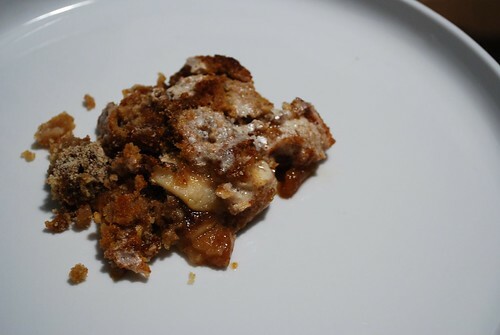 Recipe: Apple Brown Betty | Dinner Love. This is the second recipe from my little Childhood Recipe Series. 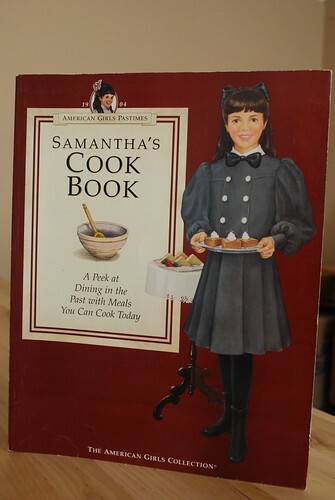 I got it from another American Girls Cookbook, this time from Samantha Parkington‘s . In the series, Samantha is a girl living in the turn of the century. She is an orphan living with her grandmother (whom she calls Grandmary) in an upper-class household. One of her friends is an Irish servant girl named Nellie, and eventually both Samantha and Nellie are adopted by Samantha’s Aunt. Her books talk a lot about class disparity, woman’s suffrage, and child labor. I don’t think I mentioned in the last post, but Addy is an African-American slave who escapes from a plantation with her mother. They both live in Philadelphia, and later on in the series her father (who had been sold to a different plantation when Addy was young) joins them. Her storyline deals mostly with prejudice and the difficulties Addy and her family encounter, even being in the Free North. Anyway. I love the American Girls. Can you tell?? 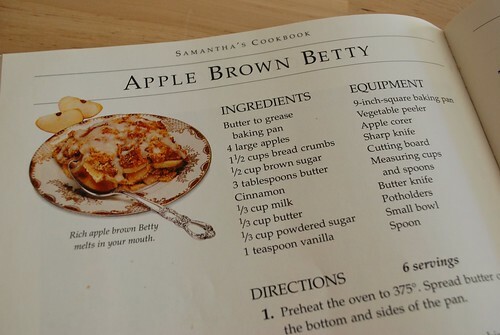 I made this recipe for Apple Brown Betty for the first time about 12 years ago (yeah, I was 12. I CAN DO THE MATH! ), and I hadn’t made it since until this weekend. I’m not sure why, because it is really easy and super-delicious. 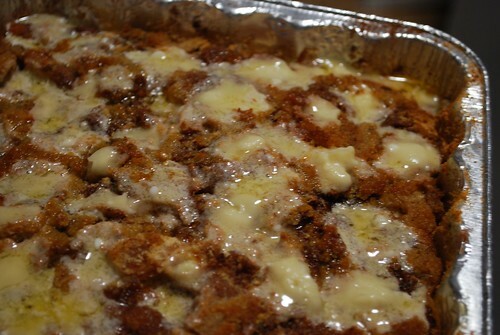 It’s basically butter, breadcrumbs, sugar and apples. Easier than any apple pie, but twice as good. I’m not going to even try to touch the whole Thanksgiving meal thing, but if you’re looking for a twist on the traditional apple pie this would be a delectable alternative (look at me, breaking out the $5 words!). Personally, I adore pie, but I’ve never been able to master the art that is the pie crust so I end up buying the pre-made stuff. This is kind of like apple pie, but there is no crust involved. I compare it to making lasagna – you just layer, layer, layer. Grease the bottom and sides of an 8×8 in plan with BUTTER! Or you can use cooking spray. 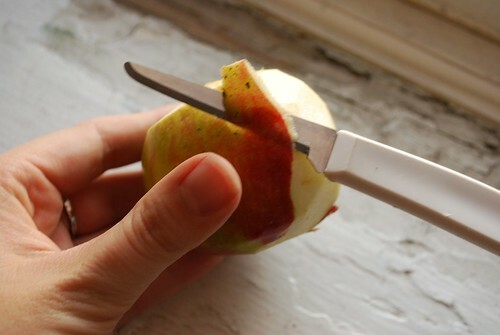 Peel, core and chop the apples into 1/4″ slices. I’m working with a severely reduced kitchen, so my carrot peeler is MIA and I don’t actually own an apple corer. 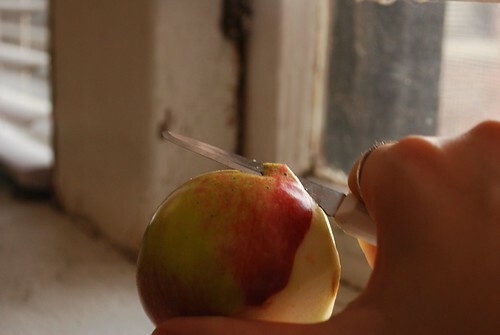 To get around that I used a paring knife to peel, chopped the apples in half and kind of sliced the core out of either side. Sprinkle 1/2 C of the bread crumbs onto the bottom of the pan. 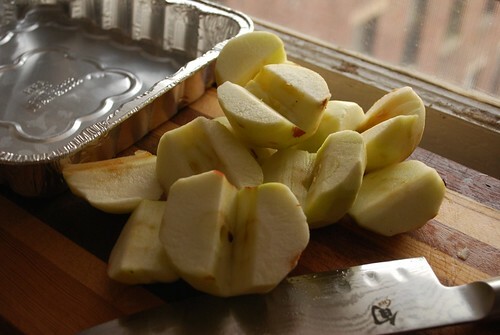 Follow by half of the apples, 1/4 C of brown sugar and 1 TB of the butter (chop the butter into small pieces and lay them evenly over the apple slices). Sprinkle the cinnamon over everything. 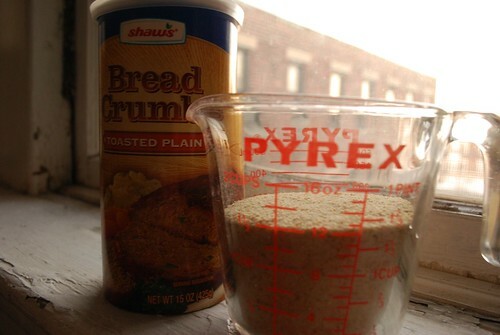 Add a second layer of breadcrumbs and repeat. 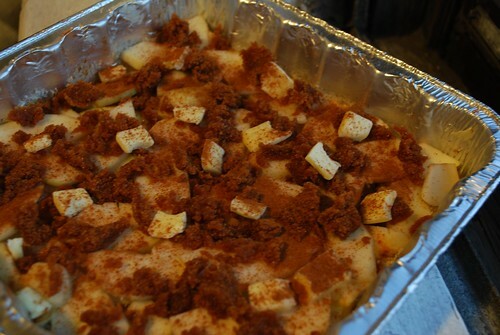 So to clarify, you will have two layers of apples, butter, cinnamon and sugar, before you move to the next step which is the top of the dessert. 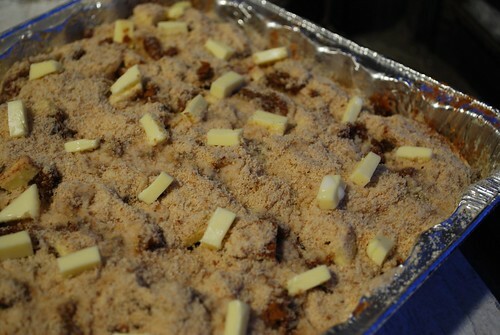 Top with 1/2 C of breadcrumbs and 1 TB butter cut into small pieces. Pour 1/3 C milk over the entire thing. Bake at 375˚ for 45 min – 1 hr. 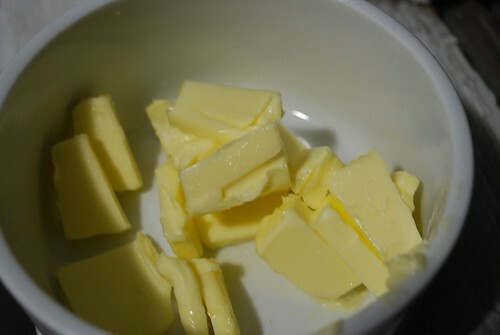 While it is in the oven, take the 1/3 C butter for the hard sauce, cut it into chunks and put it in a bowl to soften. I would suggest keeping a close watch on this while it bakes. 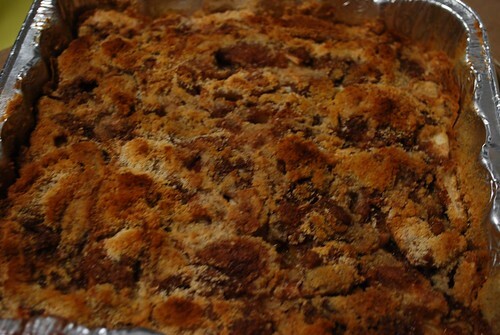 I think my oven might bake at a very high temperature, because I had it set at 350˚ and my Apple Brown Betty was done in only 30 minutes. Once the top is a medium brown, you’re good to go and you should take it out. When you take it out of the oven, make the hard sauce. 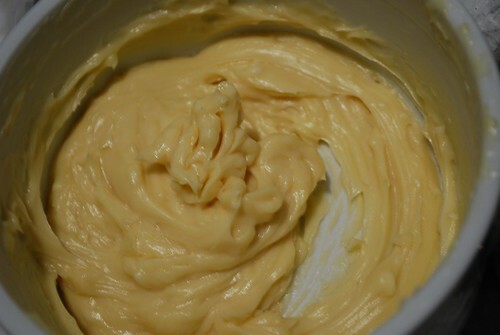 Grab your softened butter. Cream together with the powdered sugar and the vanilla. Dab the sauce all over the top of the apple brown betty while it is still warm. This will allow the sauce to melt into the dessert. You can serve immediately, or wait until it cools. I like to eat it warm. You’re going to need some milk for this. Thank you so much for posting this. I have been talking about making this for years now, and I keep putting it off because I can’t seem to find my American Girl cookbook. You have perfect timing. I can’t wait to make this again. You are awesome. Haha, thanks!! I wish I had gotten more American Girl cookbooks back in the day, but I’m so glad I could help! 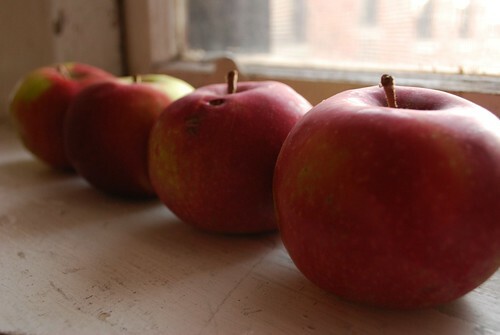 Thank you so much. .
I’ve been looking for some Apple Brown Betty recipe. And I enjoy your way of talking very much!